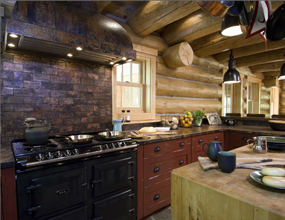 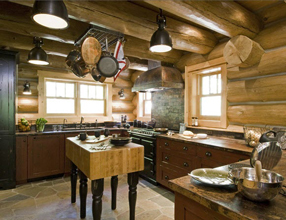 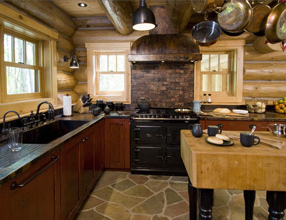 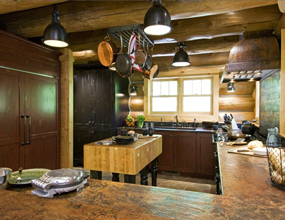 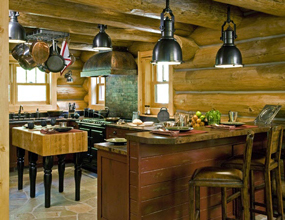 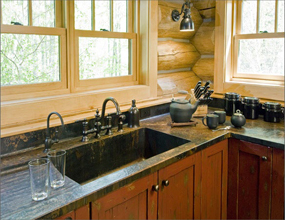 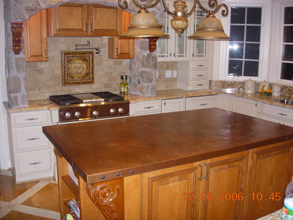 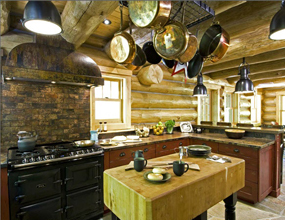 Custom Countertops - #3305 | Handcrafted Metal Inc. 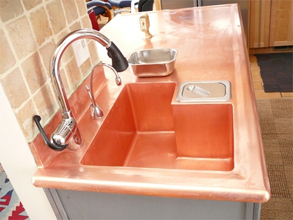 The large sink fits perfectly on the extended front of this copper countertop. 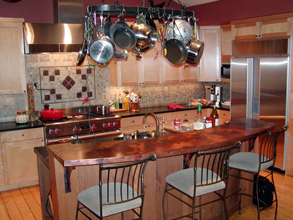 The interesting zig-zag appearance follows a custom angular base. 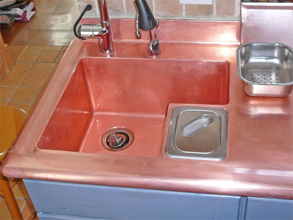 Smooth copper, medium antique patina.